If you’re one of the thousands of people with an app named Who Viewed Your Profile – InstaAgent installed on your smartphone, stop using it and delete it right now. Why? Because it’s stealing your password, transferring it to a server, and then posting images on your Instagram account suggesting others should also download the app. The app is a third-party Instagram client that promised to tell you who visited your Instagram account, something it could only do once you’d handed over your username and password. This function was never carried out, and the app’s sole intention was to steal Instagram logins. InstaAgent’s activity was spotted by a developer who tweeted that in his estimation, it’s the first piece of iOS malware to be downloaded at least 500,000 times. The app held the number one position in the free UK and Canadian iTunes App Store chart, and was available in the Google Play Store for Android phones, where download numbers also hit the half million mark. It has since been removed from both stores, but there should be concerns about how it slipped through Apple’s usually stringent controls. If you have the app on your phone, uninstall it now and as a precaution, change the password to your Instagram account. The developer responsible for bringing attention to the app’s secret noted it sent the account information collected to a mysterious server, so there’s a chance any logins may be stored and used again. We’d also suggest checking your Instagram feed for any photos you didn’t post. 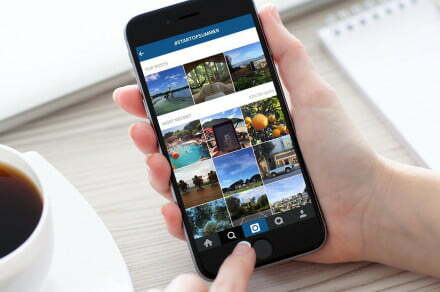 Using third-party apps to upload photos to Instagram is against the site’s rules, along with attempts to gain likes and followers. The app in question isn’t the only one of its type for iOS and Android, and although none of the others have been exposed as malware yet, there’s always a risk attached to handing over login credentials to unofficial apps that offer services outlawed under a site’s rules.